Laura Jalbert is the owner and clinical director of Mindful Transitions, LLC and a Licensed Clinical Social Worker who has been professionally working with seniors since 1999. Her dedication and love for seniors extend beyond her professional work. She has worked with families of different backgrounds and cultures throughout her career, including her own, as an advocate for quality medical and mental health treatment and advocate for utilizing appropriate caregiving interventions. Laura’s clinical experience includes managing an Assisted Living Alzheimer’s unit, inpatient medical and clinical psychiatric work with seniors in crisis needing emergency medical/mental health assessment, stabilization, intervention, and discharge planning as well as outpatient clinical social work in a mental health clinic and private office setting. Laura also has experience with case management, group and individual psychotherapy, support groups, activity program design and implementation for Alzheimer’s, family therapy, staff and family education on a variety of topics, intervention on behalf of the patient with family, physicians, and residence facilities. Since 2011, Laura has been providing clinical social work to seniors on site in independent and assisted living settings and managing the growth of Mindful Transitions and the growing Mindful Transitions team. Laura also frequently provides continuing education to aging industry professionals, graduate level social work students, licensed social work and counseling professionals, and family audiences on a variety of topics ranging from psychotherapy techniques, assessing mental health emergencies, starting a private practice, general mental health diagnosis education, common mental health medications, Dialectical Behavior Therapy (DBT), Mindfulness, and caregiving support. She is an active member of NASW (National Association of Social Workers), GSCSW (Georgia Society for Clinical Social Work), and NAIPC-GA Chapter (National Aging in Place Council) and she has been Intensively Trained in Dialectical Behavior Therapy (DBT) since 2003. Laura’s achievements in her field have been recognized as she was recently named to the 2014 Class of “40 under 40” by The University of Georgia Alumni Association for her commitment to maintaining a lifelong relationship with UGA and making an impact in business, research, leadership, community, educational, and philanthropic endeavors. Laura was the first Social Work graduate ever to receive this special honor. Laura works with her clients in an open, direct, and collaborative manner to thoroughly assess the issues at hand and develop treatment goals so that measurable progress can be seen. The type of counseling provided depends on the individual issues of each client. Often, she utilizes Cognitive Behavioral Therapy (CBT) or Dialectical Behavior Therapy (DBT) to help clients change their thinking and behavior to more effectively interact with their world. As the company’s name suggest, Mindfulness is a core value for Laura’s work with all clients, and in her life as a whole and Laura teaches clients how to explore and enjoy the moments life presents-just as they are. Laura works with both elderly clients and their caregivers to help the client “age in place” and prevent premature placement whenever possible. John Jalbert moved to the Atlanta area in 2004 from Southern California. He studied engineering and business at Cal State Long Beach and worked for several years in logistics and project management. With a grateful appreciation for the Older Adult population John was easily swayed to come work for Mindful Transitions in 2013. John’s interests include music, the arts, hot rods, chess, cooking, and he also enjoys working with his hands. In his free time, John spends his time with his wife Laura working on their house in East Cobb and looking for all of the new experiences that life has to offer. Jill is a Licensed Clinical Social Worker who has been practicing social work since 1995. From an early age, Jill knew she wanted to help people in some capacity, especially through counseling. She was always there to listen, help those in need, and offer support, guidance, and resources as needed. She started off her career working with clients who had developmental disabilities. Many of them were institutionalized, while others were mainstreamed and in work-type programs. She then moved into an internship at the Georgia War Veterans’ Home in Milledgeville, Ga. It was there that she formed a strong desire to counsel and help the elderly population. She thoroughly enjoyed listening to the hundreds of stories from the veterans themselves and provided extensive counseling services to those residents. She has the utmost respect for the geriatric population and recognizes the hardships that were endured during their lifetime and the incredible work ethic created in this generation. She then went to work at a local hospital, gaining experience in multiple areas, including Emergency Room, Extended Stay, Short Stay, Orthopedics, and Oncology. Jill also worked on developing a patient advocate program that would function in the Emergency Room. She learned of the importance of advocating for patients and their families, especially those in crisis. She realized that a kind word, a caring gesture, and even a warming blanket could make a huge difference in one’s life. In addition, while working in oncology, Jill learned about the area of hospice, which became her next endeavor. Jill spent the next 18 years in hospice, providing counseling and emotional support to the terminally ill and their families. She spent 8 years in the home care setting, 7 years at an inpatient unit, and 2 years providing care in Assisted Living, Independent Living, and Nursing Home Facilities. Jill’s extensive hospice experience includes end of life care, grief and bereavement counseling for children, teens, adults, and seniors, assisting with advance directives and funeral planning, linking with community resources, alternative placement for patients who are no longer hospice appropriate, and providing clinical supervision for MSW’s seeking licensure. She co-led several grief and caregiver support groups and volunteered at family bereavement camps. In the past few years, Jill has been more focused on the aging population and acknowledges the importance of people “aging in place”. She wants to prevent placement when possible and provide resources to help clients and their families “age in place” and stay in their homes. Jill is a strong advocate for the elderly population and recognizes the many people in this population that struggle with anxiety, depression, adjustment issues, grief/bereavement, and multiple life transitions. Jill’s main focus in counseling is to be mindful of what clients feel is important to them. The type of therapy utilized depends on the individual issues of each client. She often utilizes Cognitive Behavioral Therapy (CBT) and Mindfulness to help clients alter their thinking into a more productive and positive manner. She incorporates the physical, emotional, mental, and spiritual aspects of one’s life and provides interventions based on client strengths. She also utilizes Family Systems Therapy, Crisis Intervention, and Goal-Directed Therapy as appropriate. Communication and follow-through are extremely important to Jill, as well as to successful therapy. Christina Fisher, LCSW is the Intake Coordinator for the Mindful Transitions Team. She is a Licensed Clinical Social worker with a strong background in medical and psychiatric hospital work and has a lifelong commitment to the field of human services, particularly the older adult population. Christina received her Master’s of Social Work from the University of Georgia and began to work in the inpatient acute hospital and inpatient psychiatric settings. She has experience working in emergency services, neonatal intensive care, medical and surgical services, women’s services, as well as orthopedic and spinal services. She also served as the Director of Social Work services for a number of years at a local inpatient psychiatric hospital where the primary population of service was older adults. Christina has extensive experience in assessment and evaluation, group psychotherapy, individual psychotherapy and crisis intervention. During her years in the acute care and inpatient psychiatry setting, she gained strong case management, utilization review, and clinical social work management skills while working with the interdisciplinary care team. Christina also has a great deal of experience working in the realm of dementia and cognitive disorders. She served as a facilitator for a caregiver’s support group held for families and caregivers with a loved one diagnosed with dementia through the Alzheimer’s Association in addition to her clinically diverse direct practice experiences with older adults. Christina practices a primary approach of solution and strengths based theories in her work with clients. Kristi is a clinical social worker with over 12 years of experience in case management, counseling, and patient advocacy with seniors and their families in the acute hospital setting. Kristi works with seniors from a strengths perspective in helping them navigate through overwhelming issues that can present during the later stage of life. Although interpersonal and cognitive behavioral therapies are the basis for her work, the theoretical approaches she employs are integrative and individualized for each client. Empowerment is a key component in Kristi’s work with seniors. She teaches them how to identify and utilize the strengths and resiliency within themselves in coping with challenging transitions in life. Michelle Spann Allen a Licensed Clinical Social Worker (LCSW) who began her career geriatrics in 2003 when she started working for a hospice organization in Atlanta. Since that time, Michelle has earned a Masters of Social Work degree from the University of Georgia and has become fully licensed to practice social work in the state of Georgia. Michelle joined Mindful Transitions in 2014 as a Clinical Social Worker. Michelle is dedicated to helping older adults and their families create long term care plans, communicate wishes about aging and dying, navigate the confusing maze of health and long term care providers, advocate for good care, and cope with major life transitions. She has a particular passion for how laws, regulations and policies affect people and is focused on using that interest to secure the best care possible for each of her clients. Using a strengths-based and solution-focused approach, Michelle approach each situation with hope and optimism that a workable solution can be achieved. Her style of therapy includes Acceptance and Commitment Therapy (ACT), motivational interviewing, and humanism. Michelle believes in working with the client and their support system, keeping all facets integrated and connecting the client with any additional resources. In addition to commitment to clients, Michelle is committed to enhancing the body of knowledge for social workers and other health care professionals about aging and mental health issues. She creates and provides regular continuing education events for social workers, case managers, and registered nurses in Georgia. She has served on the board of directors for Georgia Gerontology Society (2012-2013), the board of directors for the Gwinnett Senior Provider Network (2013-2015), and the steering committee for the Atlanta Care Transitions Workgroup (2013-2015). Michelle is also a member of the Life Care Planning Law Firm Association, the Dekalb Senior Provider Network, the Coalition of Advocates for Georgia’s Elderly and the Georgia Society for Clinical Social Workers. Robin Raflo Hurtado is a Licensed Clinical Social Worker with over ten years of experience working with older adults. Robin’s areas of expertise include individual, family, and group psychotherapy, case management, client advocacy, crisis intervention, and assessment and evaluation with diverse populations. She also facilitates caregiver support groups and workshops within the community. Robin is committed to helping people maximize their quality of life through supportive collaboration, open and objective communication, and tailored treatment goals focused on promoting positive change and self-empowerment. Robin’s nonjudgmental and authentic manner aims to provide a safe environment for each client. She provides gentle guidance to obtain a more balanced perspective on challenging life events, with specific focus on the intricacies that the late stage of life can often present. Robin’s therapeutic framework is grounded in the strengths based perspective, Problem Solving Therapy (PST), and Mindfulness-Based Stress Reduction (MBSR) techniques. However, each client’s treatment plan is unique and individualized, developed with mutual respect and collaboration. Maria is a clinical social worker who discovered her love for working with seniors in undergraduate school, while pursuing her BSW. Upon finishing her undergraduate degree her first job was with an Area Agency on Aging where she provided case management, advocacy, and authorized payment for services to maintains seniors and children and adults with disabilities in their homes in a safe and feasible environment. Maria continued to grow professionally and continued to serve seniors but also pursued other areas of social work to compliment her skill set. Maria has worked in hospitals, long term care, home care, geriatric psychiatry, residential treatment for adolescents, administration, and in academia. Yet after pursuing other areas of practice, Maria has returned to her first love of working with seniors. Maria’s clinical orientation is based in cognitive behavioral as well as solution focused therapeutic approaches. Finally, Maria uses a strengths perspective with every significantly unique patient she encounters. Denise Greenberger is a Licensed Clinical Social Worker (LCSW) and has been practicing since 1985. She has a Certificate in Gerontology and certification as an Advanced Clinical Hospice and Palliative Care Social Worker (ACHP-SW). Her passion to connect with seniors began at a very early age as she was very close with her neighbors which comprised of four generations residing in one home. When working with seniors, Denise establishes a connection with them and focuses on their strengths. Furthermore, when providing therapy, loss is a central theme that surfaces. Seniors have often had tremendous losses that mount up over the years and can cause great challenges and struggles. Denise uses Cognitive Behavioral Therapy (CBT), Solution Focused Brief Therapy and Family Systems in her work. She also utilizes Life Review and Grief Therapy with her clients. Denise focuses on her clients being mindful of their thoughts and behaviors. Communication is an important aspect of therapy as well. Denise’s experience has been in the nursing home setting, assisted living facilities, senior independent living facilities, geriatric hospital settings, as well as home based settings. For over twenty years she worked in hospice with terminally ill and chronically ill patients and their families in their homes and inpatient settings providing counseling on family and end of life issues. She continues to serve as the social work consultant for a local Continuing Care Retirement Community. Since 1997, she has worked as a psychotherapist with individuals and groups with children, adults and families. Denise provides clinical supervision to licensed Masters level social workers who want to continue develop their skills in order to receive their LCSW clinical licenses. Her volunteer work over the years has included facilitating family support groups for the Atlanta Alzheimer’s Association, training DeKalb County Police Recruits on working with individuals with dementias such as Alzheimer’s disease and actively participating on the Education Committee for the Atlanta Alzheimer’s Association. Denise was instrumental in starting and developing Camp STARS, Family Bereavement Camp. She continues to volunteer for Camp STARS as well as Camp BIAG (Brain Injury Association of Georgia). Tina Powell is a Licensed Clinical Social Worker (LCSW) with more than 20 years of experience working in the field of Social Work in hospitals, home health, mental health, schools and residential settings; providing case management, counseling, crisis intervention and discharge planning for diverse populations. Tina is committed to working as a team, with a client by listening to what is important to them and addressing those issues. She has a passion for working with the senior population that developed at a young age. She was raised in a small town where she and her great-grandmother, who passed away at 109, would visit the elderly on Sunday afternoons to offer support, help with a meal or with a household repair. Through these visits she developed respect for the senior population as well as an understanding of the difficulty that our elderly face each day as they grow older. Tina’s style of therapy is based on each client’s needs. She often uses cognitive behavioral therapy, problem solving and mindfulness. She includes the client’s strengths in order to develop interventions for positive change and success. She believes in working with the client and their different support systems in order to connect them to needed community resources. Tina’s experience includes working in hospitals for fifteen years and home health for two years. She served on the Cancer Committee at Grady Hospital and learned that showing empathy and compassion for those in need can make a difference in their lives. She has also worked at residential treatment homes for adolescents, in schools and with clients that have disabilities. She has provided counseling, case management, crisis intervention and advocates for different needed services for each client including hospice and grief support. In her career she has also provided individual, couple and family therapy and has led different groups on a wide range of issues. Mashallah “Marsha” Shakur is a licensed clinical social worker who has practiced social work for 16 years. Marsha has worked with adults specifically in the acute medical (inpatient and emergency room), crisis, hospice and therapy settings for the past 11 years. Marsha most recently has focused her practice on working with seniors and particularly enjoys this population,because of the specific nature of issues that are unique only to them. 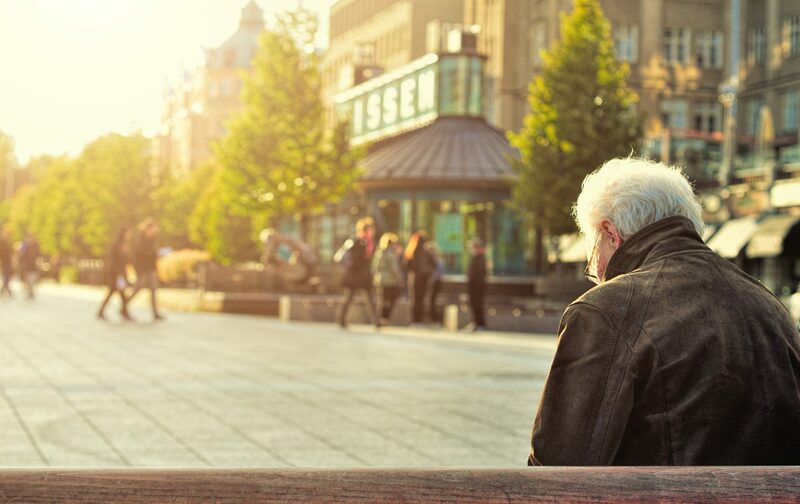 Seniors often suffer in silence with depression, anxiety, eating disorders and a myriad of other issues and refuse to seek help, due to feelings of hopelessness or for fear of imposing on their loved ones. Often lending an empathetic, listening ear and encouraging seniors to increase their activity and interpersonal relationships, can do wonders for self-esteem, physical and whole body well-being. While not the sole method of treatment, Marsha prefers to approach therapy from a strengths perspective, utilizing the Solution-Focused Brief Therapy approach (SFBT). This therapeutic approach tends to provide tangible, recognizable achievements in a shorter time period, which often motivates continued efforts and achievement. Marsha also likes to incorporate Cognitive Behavioral Therapy (CBT), which uses a variety of methods to affect thinking,mood and behavior. Marsha feels that her genuineness and sincerity is her strongest asset in achieving success with her clients, as she wants them to “feel better”, be empowered, at peace and happy with their successes. Marsha feels that everyone deserves to experience and define their own quality of life and live to their fullest potential. No two people are alike and therefore treatment is individualized and specific to ones’ needs and desires. Being an advocate in helping seniors to achieve their goals is her goal. Andrea is a clinical social worker with over 15 years of experience in care coordination, counseling, and providing patient-centered care to the elderly. She has a strong passion for aging-in-place and connecting families with resources to achieve their goals. Andrea works with seniors from a strengths perspective, helping them to build hope and resiliency throughout the transitions in late life. She uses an integrative and individualized approach for each client and applies the family systems theory in her work. Andrea primarily sees clients in Cobb, Douglas, Cherokee, and Paulding Counties. At some time in their lives, everyone needs help navigating challenging situations, understanding and resolving issues, and building satisfying relationships. Keith is a seasoned Licensed Clinical Social Worker with additional certification in Marriage and Family Therapy who assists individuals, couples and families in the process of emotional healing and growth. He has extensive experience working with older adults to help them deal with chronic pain, grief, loss, difficult family issues, depression, and other mental health issues. He provides support to caregivers and works with families to help older adults stay in their homes and avoid nursing home placement. Keith’s practical approach, humor, and patience supports individuals with both short-term interventions and longer-term therapy to enhance their lives and resolve barriers to success. Keith possesses special sensitivity to meeting diverse needs and uses a strength-based approach to empower individuals, couples, and families in building communication, promoting strong decision-making choices, repairing relationships, and developing support networks. Keith delivers compassionate care to clients with mental and physical health issues, including Alzheimer’s/dementia, crisis intervention, and trauma. Irit Lantzman is a Licensed Clinical Social Worker (LCSW) and holds degrees in Psychology and Linguistics from University in Russia and Social Work degree from Israel. After earning her Masters in Social Work from the University of Georgia, Irit worked as a Palliative and Hospice social worker. Irit holds an Advanced Clinical Hospice and Palliative Care Social Worker certificate (ACHP-SW). Through various training programs, Irit has offered counseling and support in preparation for retirement, grief and bereavement, unemployment, addiction, domestic violence, immigration, and mental health issues. As a Hospice and Palliative Social Worker, Irit worked with terminally ill patients and their families, offered bereavement counseling to the bereaved families, co-facilitated bereavement support groups and volunteered in a family bereavement Camp STARS. This work included providing care in Personal Care homes, Assisted Living Facilities and Skilled Nursing Facilities, as well as private homes assisting terminally ill and chronically ill clients and their families with necessary planning, accessing community resources, and supporting them through their grief work. At a very young age, she found herself listening to people’s stories and offering emotional support – people who were thirsty for someone to listen to them were often older lonely neighbors. There was always knowledge in abundance and a lesson to learn through a neighbor’s or, later in life, a client’s story. Admiration and respect for the older generation’s human resilience, hard work, and strength only grew with more exposure through professional encounters with older clients who shared their stories of how they have lived their lives, taking care of their families, building and protecting their country, surviving through hunger, The Great Depression, abuse, persecution, wars, struggles with immigration, retirement, learning to rely on others, and adaptation to life. As we age, we endure many losses that become a challenge and sometimes can feel overwhelming in the life of an older person. In working with seniors, it is important to tap into strengths and tools that have been created over the years and have proven effective. Life is a story we create every day every minute and some parts can be re-written or changed to meet the new challenges. Irit utilizes Life Review, Narrative Therapy, Cognitive Behavioral Therapy (CBT), Solution Focused Therapy and relies on Family Systems in her work. Compassionate listening and communication are the key components to therapy as well. Rebecca is a clinical social worker with over 20 years of experience providing mental health services. Born in England, Rebecca moved to New York in 1998 and then to Georgia in 2001. She began her social work career providing crisis intervention and emergency psychiatric assessments. Before joining Mindful Transitions, Rebecca worked for 11 years as inpatient social worker in a psychiatric hospital. She has a strong background in substance use disorder, psychosis, personality disorders, and mood disorders. Although not the only forms of therapy Rebecca provides, she is experienced in solution focused therapy, person-centered counseling, motivational interviewing, and cognitive behavioral therapy. The chosen methods of interventions for each client are dictated by the client’s problems, and Rebecca combines different methods, as the situation requires. She is committed to the empowerment of clients and has clients actively contribute to this process by involving clients in formulation of treatment plans. Working with differences is an underlying theme which informs her practice; she has experience working with a multi-cultural client group and actively supports the need for equal access to services. Rebecca promotes a non-judgmental approach, whilst also demonstrating appropriate empathy and warmth. She primarily sees clients living in Dekalb and Fulton Counties. Lynn is an LCSW with years of experience having an MSW from Smith College for Social Work in Northampton, MA and a Master of Divinity from Vanderbilt Divinity School in Nashville Tennessee. With over 25 years working in hospital settings, hospices, psychiatric hospitals, with cancer survivors, in community mental health settings and by maintaining a private practice over the years, Lynn has learned that the stories that connect us are far more powerful than the fears we let divide us. Lynn believes that our life stories are where we find our resources for strength and our capacity to cope with changes as we age. It is often through our making meaning out of our losses that we are able to make peace with life’s inevitable transitions. As we age we are constantly face changes and often need some guidance to help us find our way. Therapeutic connections allow us to learn from each other with empathy and compassion finding hope for our journey. Our elders have traditionally been the keepers of the stories for a family. When transitions evolve that can seem to overwhelm our capacity to cope, she believes we work within our emotional, spiritual, and physical strengths to find balance again. Lynn uses an eclectic theoretical approach from grief theories, family systems, cognitive behavioral, and mindfulness to help the client find the comfort and hope that they seek for each day and for their unique circumstances. Professional bios are provided as a description of clinician experience and personality. Actual clinician assignment to a particular case is determined based upon the primary clinical needs of a client, staff availability, and geographical location.